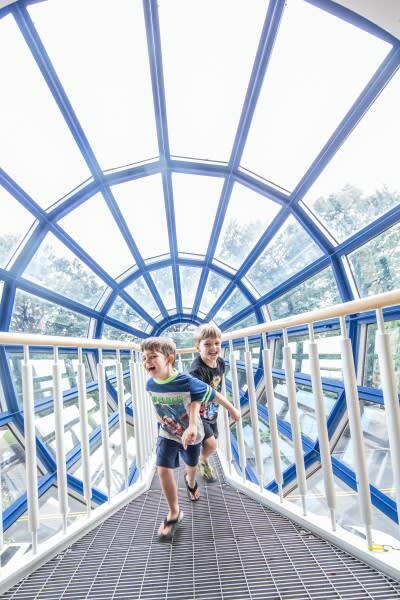 At Marbles, play matters. Marbles provides unique, innovative and FUNdamental play experiences to 700,000 children, families, school groups and community partners each year. In a fast-paced world that prioritizes rigid structure and packed schedules, Marbles provides a safe and supportive environment where children have the freedom to experience exploratory, hands-on play. Research increasingly proves that play is essential, with some pediatricians even writing a "prescription for play" for their youngest patients. Play is how children learn best. Through play, children discover who they are, how to solve problems, express feelings and share ideas. Play builds a foundation for academic success, physical development and emotional well-being, while developing critical thinking and communication skills necessary for a 21st Century workforce. Purchase tickets to Imagination Ball - the most playful gala in town - on April 27, 2019! Can't come to the event? Bid on auction items from afar or make a donation to the Forward Fund. ​Make a gift for PLAY today! The Marbles Forward Fund fuels the design and installation of innovative new ideas, exhibits and programs – and also keeps familiar favorites fresh and ready for play every day. PLAY TOMORROW. Marbles is growing and changing alongside the children we serve! Donations support new exhibits, like River Playway, as well as familiar favorites, like the Pirate Ship in Splash! and the Pizzeria in Moneypalooza. Make your gift today and invest in enriching play experiences for ALL children.